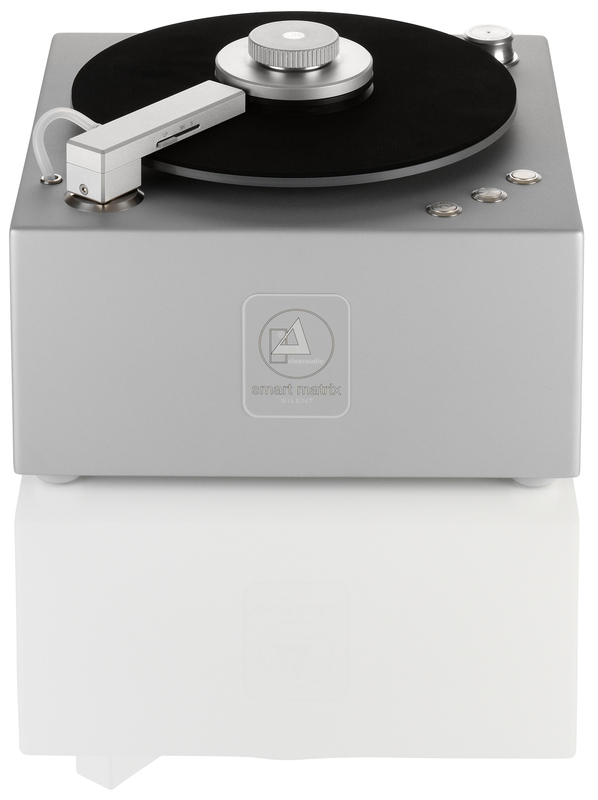 The new Clearaudio Smart Matrix Silent record cleaning machine is constructed using the highest quality components. Designed for intensive and continuous use, it is effortlessly simple to operate and maintain. So, whatever the size and state of your beloved record collection, there’s no excuse for not keeping your vinyl in top-top condition. The build quality is, as you would expect from Clearaudio, excellent. The arm, chassis and accompanying SMS Seal record clamp are all machined from solid aluminium. And, as the name suggests, ‘the silent one’ is engineered to reduce noise to a minimum – which is all the more remarkable considering its 500-Watt vacuum motor. 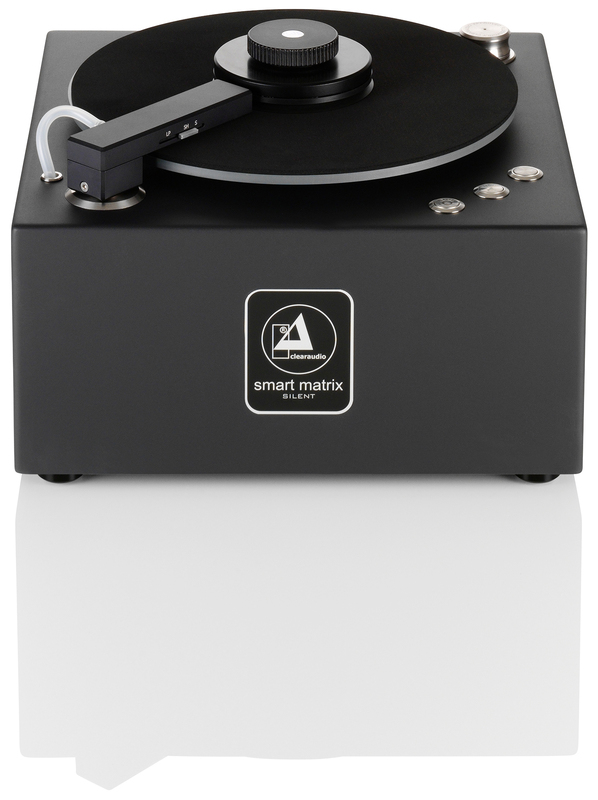 This, combined with its elegant chassis, makes the Smart Matrix Silent perfect for placing alongside any hi-fi system rather than being hidden away in a utility room. An optional dust cover is available. A single multifunctional arm cleans 12” LPs, 10” EPs and 7” singles (vinyl and shellac). Integrated, pump-action cleaning fluid application at the touch of a button – no need for messy application by hand. Powerful 500-Watt vacuum motor, yet extremely quiet operation. Vacuum suction cleaning delivers deep yet gentle cleansing of pressing residues and takes care of dust, dirt, fingerprints and other contaminants within the record groove. 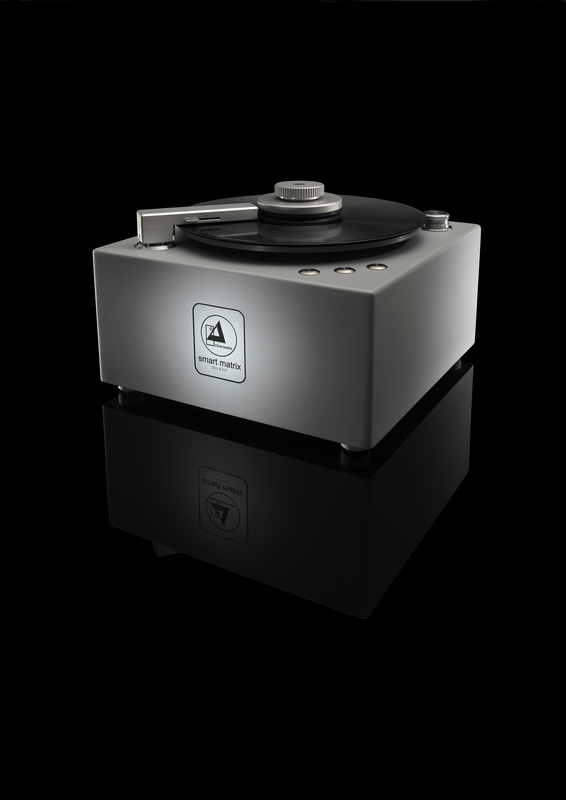 Bi-directional rotation allows records to be cleaned in either, or both, directions for enhanced cleaning performance. 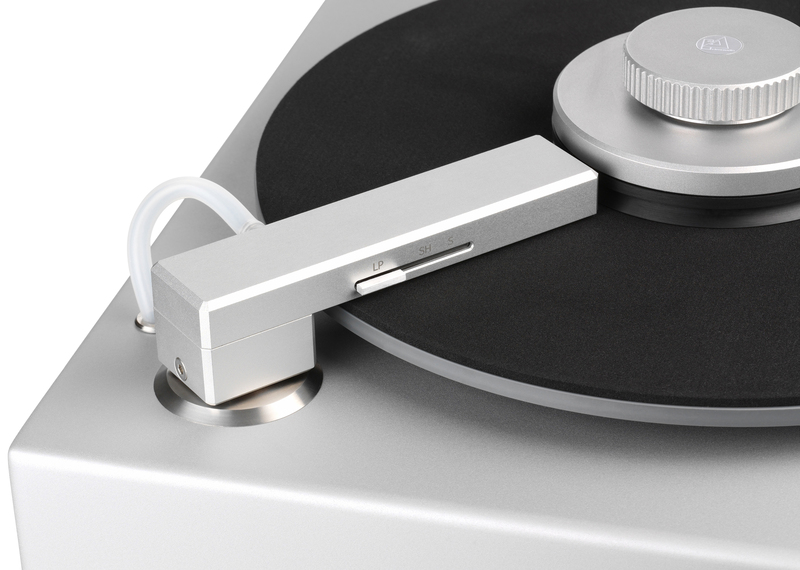 An included Clearaudio SMS Seal record clamp holds the record firmly in place during cleaning and protects the record label from fluid damage. An adapter for 7” singles is also included. Weight approx. 10.9kg, dimensions 345 x 345 (d) x 234 (h) mm.